Rent the Runway has built a loyal base of more than 9 million members by offering fast, convenient home delivery of outfits and apparel. However, the online rental model includes inherent lag time while items are in transit. Rent the Runway first addressed this lag time by adding self-serve drop-off stations at the company’s brick-and-mortar locations. Members could pop into the store with an item they were looking to return, walk up to a self-serve kiosk, scan a barcode on the item, drop the item in a basket, grab something new to wear, scan that out, and be on their way. This proved to be fast, easy to manage, and frictionless—bypassing shipping altogether. This self-service option was not only immensely popular, it also enabled Rent the Runway to efficiently expand its physical footprint—without opening new stores. 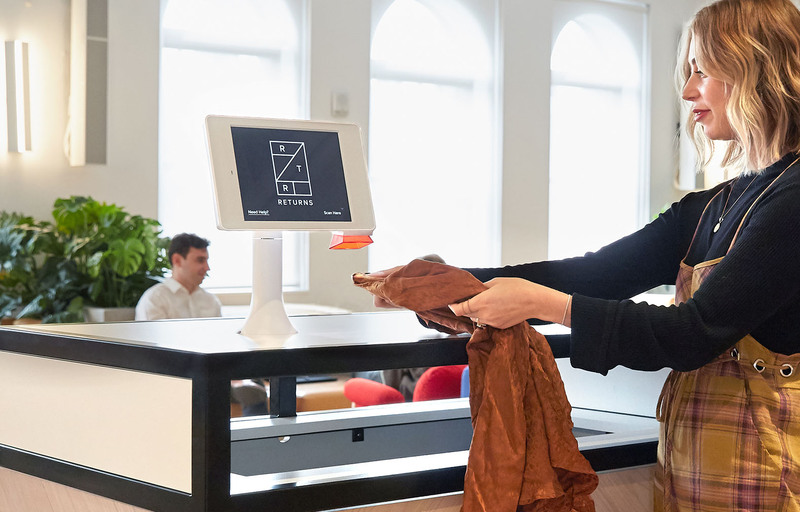 Instead, the company teamed up with WeWork, a leading collaborative workspace provider, to offer new, convenient self-serve stations powered by Aila’s Interactive Kiosk. These drop-off stations are now active at select WeWork locations across the country. Online subscription models provide an easy, efficient way to get the products you need, when you need them. However, the ship-to-home model means there’s waiting involved between requesting an item and its arrival, as well as the turnaround for returning items that have already been worn. Self-service drop-off locations end the waiting game by opening a slot in their rental queue the instant a returned item is scanned—no more waiting for return shipping to be processed before selecting a new item for delivery. The partnership between WeWork and Rent the Runway is a win for customers of each organization. These extra drop-off stations make using Rent the Runway’s services even more frictionless and convenient. And the more than 250K WeWork members now have the added perk of dropping off clothing rentals right at the office. 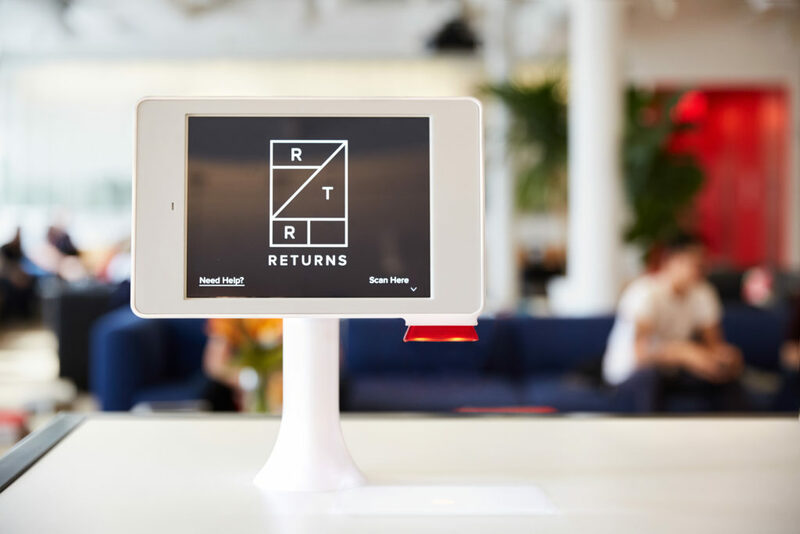 With an initial launch in six WeWork locations in major cities such as New York and Las Angeles, Rent the Runway plans on extending drop-offs to service a larger user-base. “We have subscribers in many places throughout the U.S. and with WeWork’s massive footprint, there’s huge opportunity to grow this drop-box network,” said Jennifer Hyman, CEO of Rent the Runway. This quick drop-off service is also available at Rent the Runway physical stores, which also utilize Aila’s Interactive Kiosk for browsing styles and seamless drop-off and check-out. Typically, a common UPC barcode is suitable for processing items. However, putting large barcodes on clothing would require large tags. To solve this problem, Rent the Runway sought a solution that was powerful and versatile enough to scan numerous symbologies, regardless of size. Read the case study to see how Aila solved Rent the Runway’s scanning problem while providing a sleek and user-friendly user experience.